Hurry and come take a look at this fantastic Family Home. This amazing home is located in a quiet, well maintained, and overall just great neighborhood. NO HOA!! Tile throughout home makes for an elegant look, easy clean up. 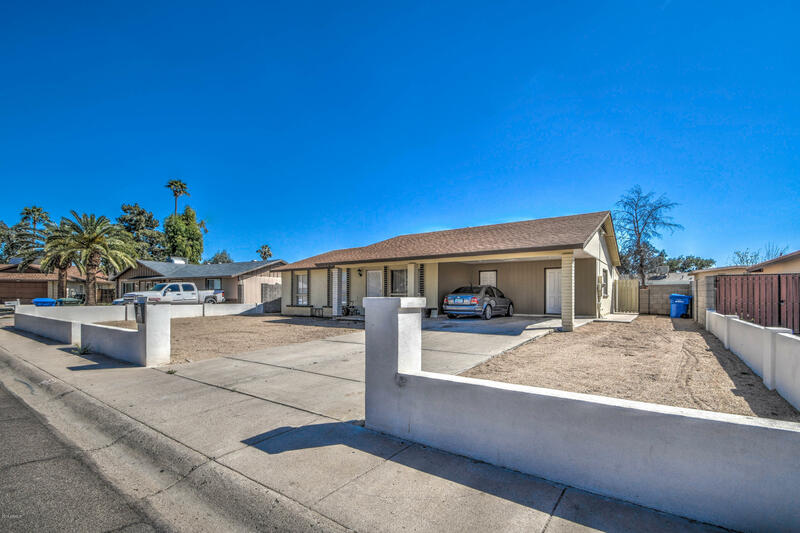 Conveniently located near Schools, mall, grocery store, parks & Close to freeways (I-10, 101 loop, I-17 and new 202 loop). Did I mention NO HOA!!!?? Ceiling fans in the bedrooms. Your new kitchen has stainless steel appliances, tile counter tops, and plenty of cabinet storage. Washer and Dryer Included! The landscaping in the front & back has a clean slate so you can landscape however your heart desires! Don't miss out on this beauty! Ideal for a first time buyer, owner wanting to downsize, or for an investor looking for an amazing rental. Thanks for taking a look.